Will a little bit of excitement improve the next training session with your dog? A new study conducted at Duke University suggests the answer is yes – but only if your dog is laid-back. The study investigated the relationship between the level of arousal (a state of being reactive to stimuli, both physiologically and psychologically) in dogs, with their problem solving ability. The researchers used a simple experiment to test the problem solving ability of various dogs at different levels of arousal. 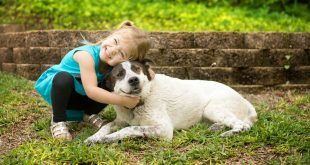 Being enthusiastic and encouraging excitement in your dog is one way to increase their arousal state, but how this impacts their problem solving abilities depends on a relationship known as the Yerkes and Dodson Law. This law dictates that increasing arousal will improve performance, but only up to a certain point. If arousal levels become too high, performance will deteriorate. The researchers conducted a series of experiments designed to test the problem solving ability of over 100 dogs. The dogs were split in to two groups; pet dogs (basic training, more excitable, reactive temperaments) and assistance dogs (formal training, selectively bred and chosen for their placid temperaments). The test involved navigating around a transparent barrier to the researcher behind, who was waiting with a treat. Each dog repeated the test under low and high arousal circumstances. 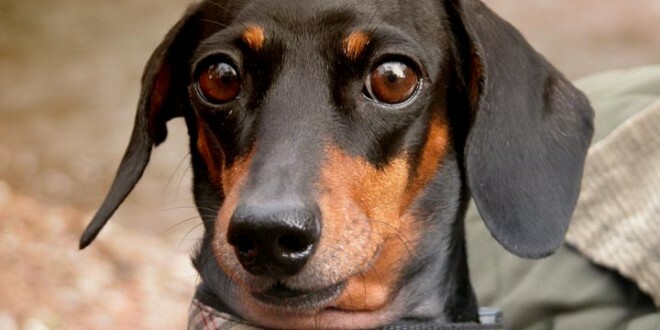 To create low arousal, the researcher called the dog’s name in a low, monotonous voice. By excitedly called the dog’s name in a high pitch voice, the researchers created a high arousal state. Each dog was given a score for the different states of arousal based on the time they took to detour around the V-shaped obstacle and receive the treat. In the experiments, both sets of dogs performed similarly in the low arousal state. However, in the high arousal scenario, the placid assistance dogs performed better than they had previously. This was not the case for the more excitable pet dogs, who in general, underperformed in the high arousal state. When the researcher called the dogs in a more enthusiastic, high pitch voice, the high arousal levels affected performance as the Yerkes and Dodson Law predicts. Many of the dogs failed to navigate the transparent barrier, instead attempting to take the treat through the solid, yet see-through obstacle. Do Dogs Perform Better Under a Little Stress? Stress increases arousal, as does excitement and the invocation other emotions. As the experiment showed, and in accordance with the Yerkes and Dodson Law, increased arousal can improve performance, such as problem solving or during training 1. The right amount of arousal therefore depends on the disposition of the your dog. If your dog is placid and mellow, some encouragement could really boost your training sessions together. However, if your dog is already excitable and highly strung, consider how providing additional arousal could actually cause them to underperform in tasks or training. Arousal can be caused by both positive and negative means, however, pet owners shouldn’t be creating negative arousal (fear, shock, anger) for training benefit. If you’re looking for tips on dog training check out the Smart Animal Training blog. See here for more about Emily Bray and her work. 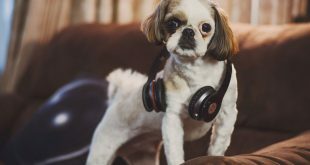 Is your dog stressed? Take our quiz.